Who does not love the sight of colorful rainbow? You don’t need to wait for rains for that exclusive rainbow. 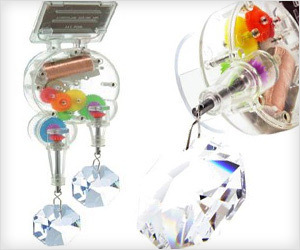 You can create own colorful rainbow at house with “Kikkerland Solar-Powered Double Rainbow Maker“.